Nothing compares! Drag, design, and performance make the NV-G the ultimate fly reel. The NV-G series reels are built on the tried, tested and trusted NV 5/6 through NV Monster frames, and they feature the patented, award-winning NV CCF Disc Braking System. The G-Spool design transforms the NV reels into uber-arbor fly reels that pick up line faster than any other comparable reel on the market. The G-Spool (Giga Spool) design reduces the reel weight significantly, generates less line coiling and much faster line retrieval (up to 15 inches per turn on the G-10). The unique CNC machining on these reels gives the impression that the backing is floating above the arbor, creating significant air space under the backing, which promotes faster backing drying. Wet backing is the leading cause of corrosion in fly reels, and the G-Spool design dries 14 times faster than traditional designs. The NV-G is available in black or silver anodizing. Made in the U.S.A.—Lifetime Warranty. 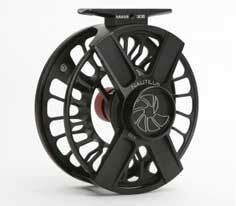 Note: please specify in the Special Instructions section of our order form with which hand you wind your reel. 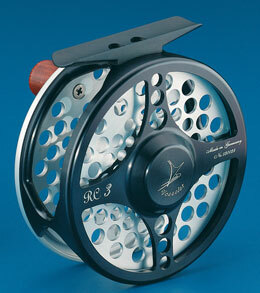 The NV-G reel is available in the following sizes:. 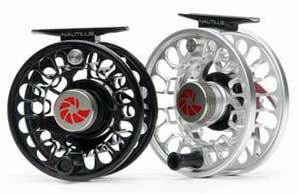 The Nautilus X series is an open-frame reel designed for lightness, strength, drag smoothness, and fast line pick up. The strong beams of the X configuration extend from the reel center to form a wide line guard, providing rear spool protection where the reel typically touches the ground when the rod to which it’s attached is leaned against a wall or car, or (ouch!) dropped; this highly ventilated arch design allows for the sides of the frame to leave the spool totally exposed, and the back spool rim has a generous 1/8” secondary palming rim for added fish control. The reel’s totally new CCF-X drag is a sealed Teflon and carbon fiber disc drag system that’s adjusted with a generously sized drag knob that offers superior gripping surface and texture for wet hands ad cold fingers. The X reels are available in three frame sizes: XS-3.25” diameter, XM-3.5” diameter, and a 4” frame XL that will accept the standard XL Giga Arbor spool for a 6/7 weight, as well as a XL Max Giga Arbor spool that will fit a 8/9 Line—perfect for larger freshwater species, and light saltwater needs. Made in the U.S.A.--Lifetime Warranty. 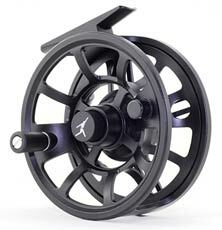 Note: we usually stock the X reels with anodized black finish on the MS and MM models, with brushed Titanium anodizing on the XL and XL Max models, but we can easily supply the reverse if so requested. Designed and manufactured in Germany, Vosseler RC reels are everything a classic trout reel needs to be: light, durable, and not burdened with an over designed drag system designed for sizable saltwater fish. The Vosseler RC reel is simplicity itself, with a set spool resistance to prevent overrun, allowing for increased pressure to be applied to the spool rim by hand, if needed, and there is no adjustment required for right or left hand wind. 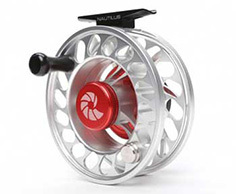 This is a pure Trout reel that�s appropriate for beginner and expert fly fisher alike, at an unbeatable price. The standard color for the Vosseler is silver and black (as shown), but all black is also available by request. Easily the best reel in the sub $100 category, the Echo Ion is made with a hybrid design—Pressure molded cast Aluminum that is subsequently machined—to provide the benefits of a machined bar-stock reel without the high price associated with “fully” machined reels. All Ion reels are coated with an impact resistant matte black finish to provide the best looking, longest lasting finish available at such a reasonable price. The 4/5 Ion is ideal for most Trout fishing situations, and he 7/9 Ion is appropriate for Steelhead, bass, and light saltwater. While the reel is not designed specifically for saltwater use, its internal metal parts are all stainless steel, and if extra care is taken to thoroughly rinse and lubricate (Marine trailer lube is best) the reel after each exposure to saltwater environs the 7/8 Ion will serve well. Free shipping for orders totaling $200 or more to addresses within the U.S. �lower 48� states, and orders less than $200 will be charged $12 for shipping within the same area. Shipments to addresses outside said area are billed to the customer at Norpine Flyfisher's cost.